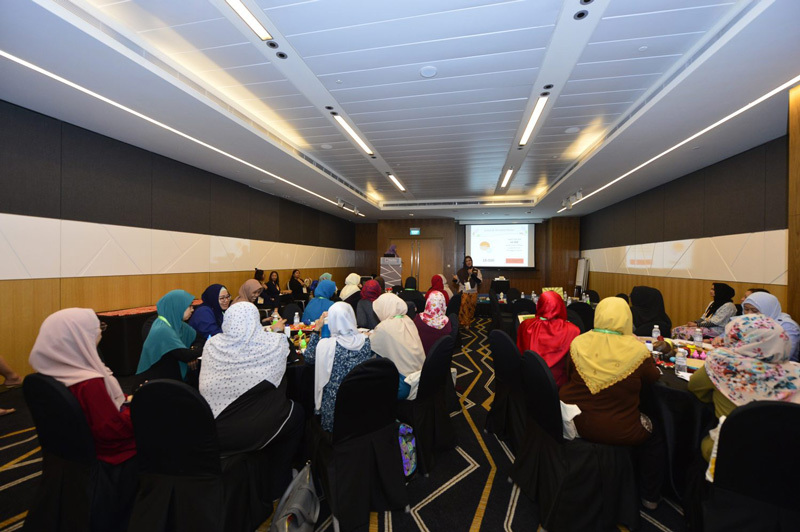 Preschool teachers and educators had the opportunity to learn from experienced and highly-qualified KLCII lecturers at three specially-designed workshops at the Early Childhood Development Agency (ECDA) Conference 2018 held at the Suntec City Convention Centre on 5 & 6 October 2018. The two-day annual event for the early childhood (EC) sector, with the theme “Nurturing Young Minds: Building Strong Foundations”, was organised by ECDA and featured lots of learning, especially for preschool educators’ continuing professional development. The KLCII academic team presented a total of 3 workshops for the Conference. Two of them were delivered on the afternoon of Day 1 after the keynote presentations. 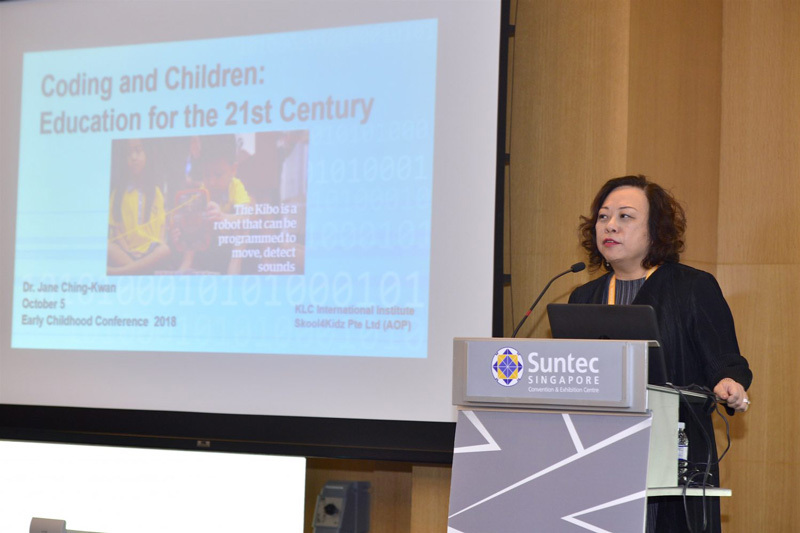 The first was on “Coding and Children: Education for the 21st Century”, delivered by Dr Jane Ching-Kwan, Curriculum Founder/Director of Skool4Kidz and Director of KLCII and co-presented by Ms Madhavi Tiwari, a full-time KLCII lecturer. It was designed for teachers to help children engage in developmentally-appropriate coding activities using tech toys to empower children to think creatively and solve problems. The second topic for Malay language teachers was on “The Journey of Delivering an Effective Malay Language Curriculum for Preschoolers”. It was delivered by Ms Nurhuda Ibrahim, a curriculum writer and a co-ordinator with Skool4kidz, and co-presented by Mdm Radiah Razak, a full-time lecturer with a Master degree in EC education. They shared their knowledge and experience in conducting Malay language lessons at Skool4kidz to help teachers better develop, plan and implement activities to support the children’s acquisition of the Malay language from Nursery to Kindergarten level. The third workshop on “the Choice of Toys and the Emotional Development of Infants” was delivered on the second day of the conference. It helped caregivers to strategise and plan their interactions with infants using developmentally-appropriate materials and toys to support their emotional and social growth. This Chinese language session was conducted by Dr Chen Shi, Vice Principal of KLCII and Head of Chinese Programmes, and co-presented by Ms Hou Jing, a Senior Lecturer at KLCII who has a Master’s degree in EC education and Computer Science. 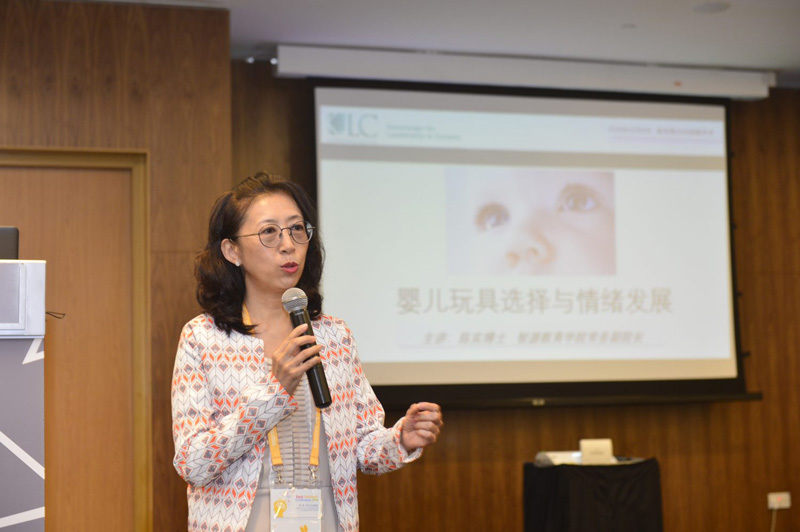 KLCII Vice Principal Dr Chen Shi speaking at the workshop on the “Choice of Toys and the Emotional Development of Infants” for Chinese preschool teachers. 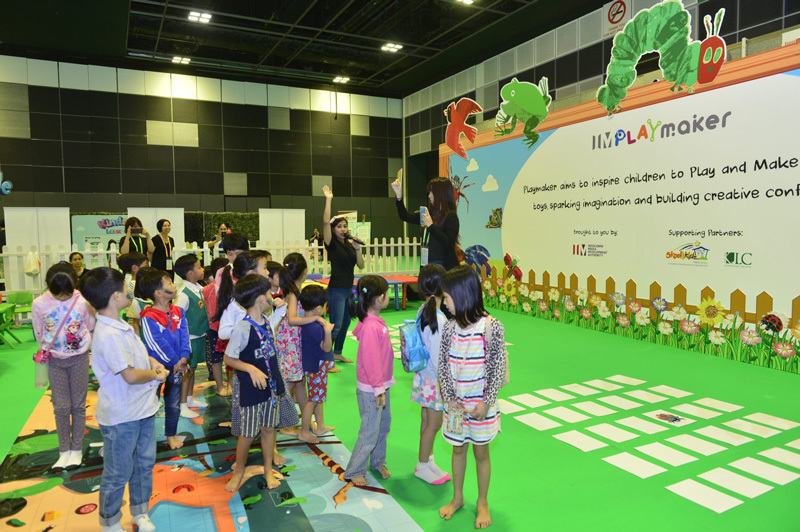 Children also benefitted as they enjoyed fun-filled activities organised specially for them at the Infocomm and Media Development Authority of Singapore (IMDA) booth. KLCII and Skool4Kidz had teamed up to conduct fun filled coding activities for them over the two days to help enrich their learning experience. Info-communications Media Development Authority(IMDA) presenting its award-winning “PLAYMAKER” programme at the ECDA Conference 2018, supported by KLCII and Skool4Kidz. The programme developed by IMDA, introduced robots and technology to the curriculum in 160 preschools across the island since 2016. Brand New Kinderland Ipoh, Malaysia Opens!